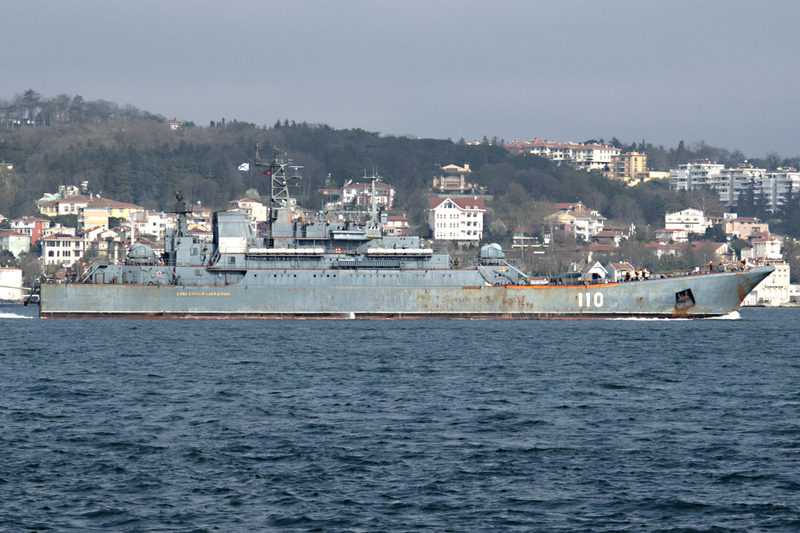 Today two Russian large landings ships, Ropucha class 102 Kaliningrad and 110 Alexander Shabalin, returned to the Black Sea after spending almost one month in the Eastern Mediterranean Sea. 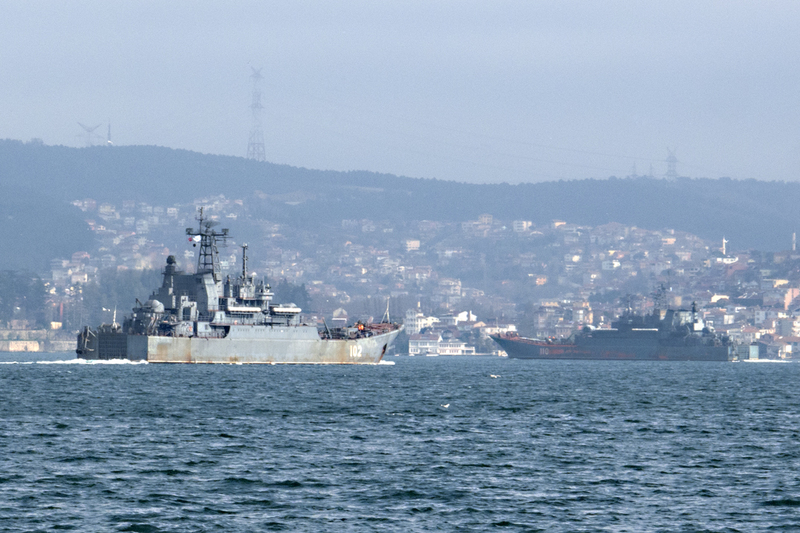 When I look at the photos I realize that both ships need a long overhaul periods to remove the strains of the recent deployments. 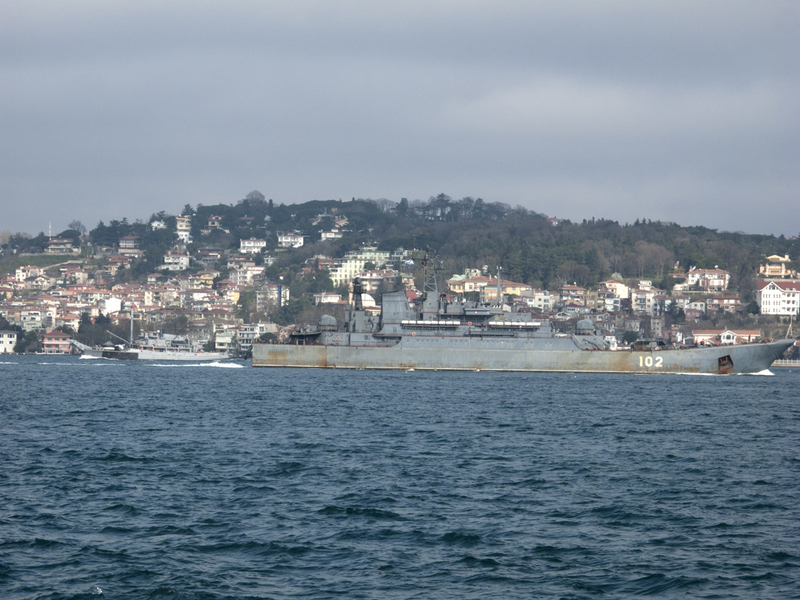 All photos courtesy of Mr. Kerim Bozkurt. Used with permission. 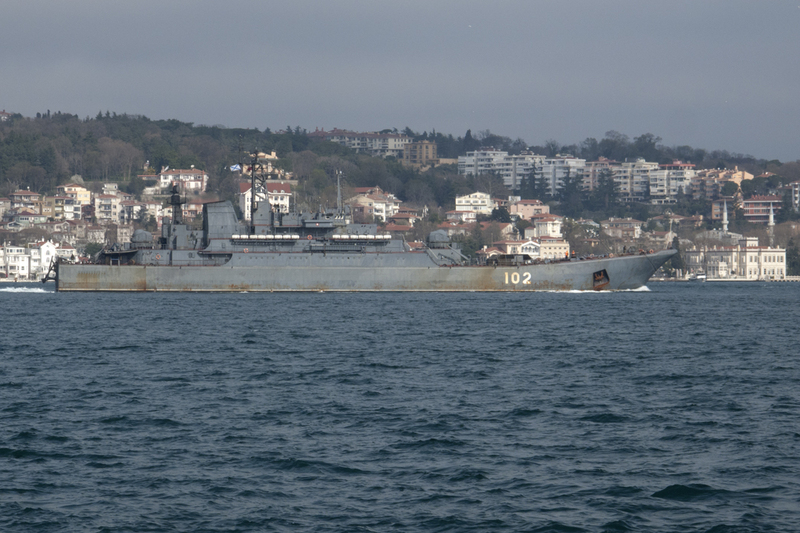 102 Kaliningrad in Bosphorus. 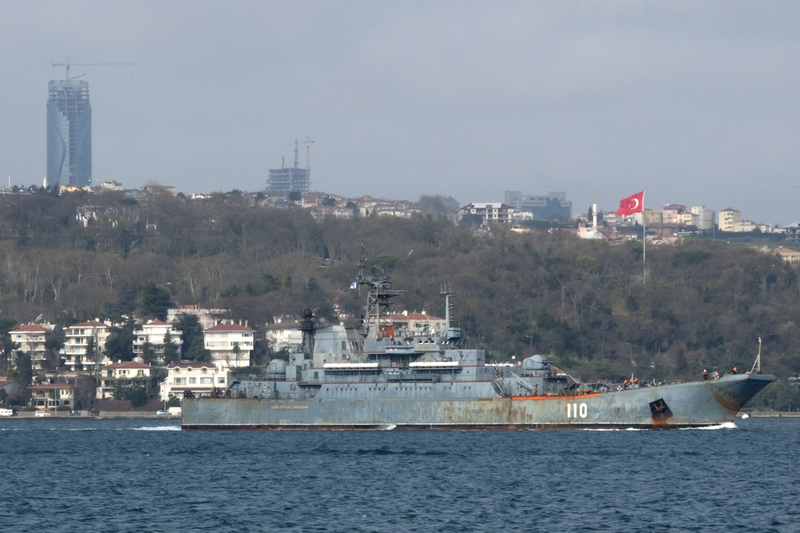 The small ship in the background is the Turkish boom defence vessel P-305 TCG Ağ 5. As a former Sailor who had to help do a lot of ‘chipping and painting’ I agree!! !